Home » Make money online » Marketing » Money » Simple Ways You Can Make Money Using The Internet! 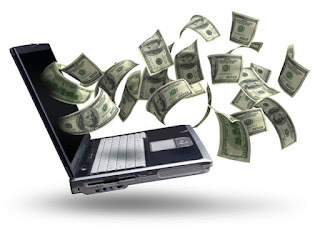 Simple Ways You Can Make Money Using The Internet! A fantastic way for you to start generating a small fortune is through online trading. This is basically just investing in things online. You can invest in shares on the stock market, or take part in some forex trading. Whichever road you go down, it can have great financial rewards. It’s important you know how to trade properly before you begin, or you’ll just lose money. Also, only trade with money you have and never put your entire savings into a trade - it’s far too risky. If done properly, trading presents itself as the best way to make money on the internet. If you’ve got great writing skills, then starting a blog is a good money making idea. There are various ways you can make money from your blog. The most obvious is via advertisements placed on your page. You can sell ad space on your blog and companies will buy it, meaning you get some money. Also, you can make money through affiliates or promoting products. Some businesses are willing to pay bloggers to review their products online. But, only review products/services you trust and that are relevant to your blog. It wouldn’t make sense for a finance blog to review the latest eyeshadow palette out. Now, this is a slightly different from some other ideas because you actually need marketing knowledge. But, if you don’t then you can easily learn online through courses or ebooks. Anyway, if you want to know how to make money online, then internet marketing is a great course of action. You can become a freelance marketer and sell your services to businesses. If someone needs help with a marketing campaign, then you can offer your expertise. Marketing is a very important part of business, so there’s lots of money in this online field. No, I’m not trying to be cool and invent a new phrase here. I’m talking about a website called Swagbucks that lets you earn money online. You can earn gift cards for various big companies, like Amazon and Starbucks. To start earning, you can do a number of things. Swagbucks will reward you for answering surveys, using their search engine, and even watching videos. It’s a pretty handy way to earn money, just remember the money comes in the form of gift cards. So, if you see something on Amazon you like, why not spend some time on Swagbucks to raise the funds to buy it. We’ve all got the internet, so why not make the most of it? If you’re looking for extra money, then these four things are great for you to try. Some of them will reward you greater than others, but they’re all worth a try if you have the time. This is really wonderful article as it shows the way of how to make money by using the internet. Many people has leisure after their job they wants to utilize their leisure time and wants to make their pocket money through some work. I think internet marketing will help those people to make income and it will also help those who are jobless. from all of your idea i think blogging will be best to make money by using internet. So thanks for sharing such a wonderful article with us.